Yesterday, in an employment discrimination case, the New Jersey Supreme Court dramatically limited the right of courts to reduce the amount of a jury’s emotional distress damages award, ruling that courts can only do so in unusual cases. The case was filed by two brothers, Ramon and Jeffrey Cuevas. The Cuevas brothers are Hispanic. Their employer, Wentworth Property Management Corporation, subjected them to derogatory and humiliating remarks relating to their race. It fired the brothers shortly after Jeffrey complained about the harassment. After a trial, the jury awarded Ramon over $1 million in lost wages, $800,000 in emotional distress damages and $52,500 in punitive damages. It also awarded Jeffrey $150,000 in lost wages, $600,000 in emotional distress damages and $32,500 in punitive damages. Wentworth asked the trial court to remit (reduce) the emotional distress damages awards, arguing they were excessive. In Cuevas v. Wentworth Group, the New Jersey Supreme Court upheld the jury’s emotional distress damages award to the Cueva brothers. In doing so, the Court overturned a previous case which had allowed judges deciding whether to remit an emotional distress award to rely on their personal knowledge and experience, the “feel of the case,” and information about verdicts in similar cases. In its opinion, the New Jersey Supreme Court reiterated that the applicable legal standard is whether the jury’s award was so “grossly excessive” that it “shocks the judicial conscience.” It ruled that courts must use great restraint when they decide whether to reduce such an award because the New Jersey Constitution gives juries the responsibility to decide damages in civil cases. More specifically, a court should reduce the amount a jury awarded only in a rare care in which it is “glaring and obvious from the record” that doing so is necessary. The Court further made it clear that in deciding whether to remit damages, a judge should not compare the amount of the jury’s damages award to awards in other cases because the facts of each case is unique and the information available about other cases limited, making a fair comparison between two cases impossible. Moreover, even if there could be a fair comparison between the emotional distress damages in two cases, the fact that a jury in an earlier case may have awarded made a lower emotional distress damages award could mean the first jury’s award was too low, the second jury’s award was too high, or reasonable people can disagree about what would be the appropriate award. 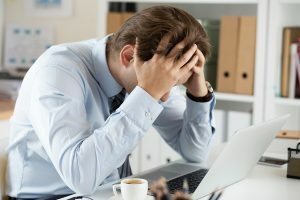 The Cuevas case is notable given the fact that the Court affirmed an extremely high emotional distress damages award without any testimony from a treating psychotherapist or an expert witness regarding their emotional distress. Its bottom line is that courts should be reluctant to interfere with a jury’s decision about pain-and-suffering damages, and rarely should do so. For additional information regarding the facts of the Cuevas case, please read my article from when the Appellate Division previously upheld the jury’s verdict: New Jersey Court Upholds $800,000 and $600,000 Emotional Distress Awards in Race Discrimination Lawsuit.